Planning to spend a weekend can be a boggling task. Life as a student or an employee leaves us wanting something more than just hustling in the concrete jungle. We need a break from life and weekend is the only time we can thoroughly enjoy that break. Luckily for the city folks of Mumbai, we have just the place for you! Bhimashankar is a beautiful town located around 210 km from Mumbai, that has something for everybody! Be it trekking, relaxing in the midst of nature or even visiting a temple, Bhimashankar has it all. Bhimashankar is nestled in the majestic Western Ghats, so it offers magnificent vistas of lakes, waterfalls and lush greenery throughout the region. The ideal time to visit Bhimashankar is the winter months of October to February when the weather is pleasant. The temple can be visited any time of the year, however, if you wish to trek, it is advised to avoid monsoon since trekking might get slippery and dangerous. Read about the places to visit on the way and in Bhimashankar. Navi Mumbai located 22 km from Mumbai is a planned metropolitan city. You may drive through the stretch of Palm Beach Marg, an exhilarating experience where you can see the vistas changing into beaches from buildings right before your eyes. You can visit the Pandavkada Falls in Kharghar or trek the Parsik Hills in Mahape, or just walk through the Wonders Park where you will witness replicas of the 7 wonders of the world. One of the most beloved hill station of Maharashtra is Lonavala, located at a distance of 62 km from Navi Mumbai. The town is blessed with innumerable beautiful places to visit. For trekkers, Tiger's Leap is the point of interest since it is perched at an elevation of 2,100 ft. It offers a stunning panoramic view of the entire hill station. Tungarli Lake, Pawna Dam, Rajmachi Fort and Bhushi Dam are some of the other breathtaking places that must be visited in Lonavala. Built in 1977 on the river Bhima, Chaskaman Dam is a popular tourist hotspot that you will find on the way to Bhimashankar. If you are visiting during monsoon, you simply mustn't miss this place since the dam will be rain-fed, and will look brilliant with the backdrop of lush greenery. It is an important dam that provides irrigation for numerous villages near Pune. Read further about the places to visit around Bhimashankar. This pristine sanctuary is filled with enchanting waterfalls, hills, and forests; an ideal destination for nature lovers. This forested area was converted to a sanctuary in order to protect the species of Indian Giant Squirrel. It is part of the Western Ghats and houses a Shiva temple, which is one among the 12 Jyotirlingas of India. The location is, therefore, a haven for nature enthusiasts, trekkers and even devotees of Lord Shiva. Hanuman Lake is a clear, tranquil lake that is nestled in the arms of nature. During monsoon or winter, the place looks so enchanting that you will lose yourself in the beauty of nature! With the Western Ghats in the backdrop that is filled with lush greenery and a lake that is home to many squirrels and birds, Hanuman Lake is a haven for nature lovers. It is an ideal picnic spot to spend some quality time with your family. Located in the village of Bhorgiri and perched at an elevation of 3,250 ft, the Bhimashankar Temple is a popular site of pilgrimage for Hindus. This is because the temple is one among the 12 Jyotirlinga shrines of Lord Shiva in India. According to a popular legend, Lord Shiva appeared in this spot to end the tyranny of a demon named Bhima. After a great war between the two, all the gods pleaded Lord Shiva to stop the tyranny and return to his holy abode. Abiding by these pleas, Lord Shiva turned into ashes and the Shivlinga that is present here was thus formed. Lord Shiva's sweat during this war is said to have turned into the river Bhima. The temple will be open right from 5.30 AM to 7.30 PM with an hour-long break in between at 3 PM. Since the Bhimashankar Temple is perched at such a height, it not only serves as a place of religious significance but also is a sought after location for trekkers. Many trekking clubs plan regular treks to Bhimashankar, usually from Pune and Mumbai. It is a relatively easy trek that takes an entire day to climb up and return to the base. Since it is located in the Western Ghats, breathtaking view of nature in its purest is assured! Bhorgiri is a small village located at a distance of 7 km from Bhimashankar. This small fort is a popular trekking place since the trail goes through dense jungle, a haven for nature enthusiasts and photographers. If you're lucky, you can spot Giant Squirrels or Barking Deers in this jungle. There are a few unexplored caves that house Shivlingas near this fort. The highest point of Bhimashankar is the Nagphani Peak. 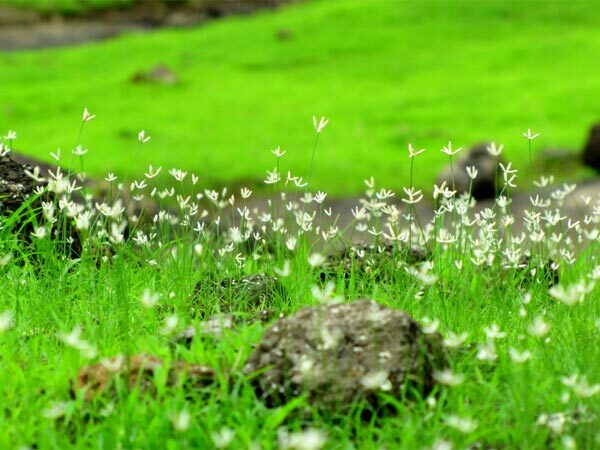 The peak houses numerous forts like Padargad, Peth and Siddhagad, which are all sought after trekking trails. The peak is usually covered by mist or fog during winter, making you feel like you're on top of the clouds! The pleasant weather coupled with scenic beauty here will make you never want to leave Bhimashankar! Gupt means hidden, and Gupt Bhimashankar is a hidden Shivlinga, that is believed to have been sculpted by waterfalls. This hidden Shivlinga is found at the base of a waterfall. Gupt Bhimashankar is also a popular pilgrimage site that is visited by devotees from all over Maharashtra.